Defense Secretary Jim Mattis is expected to sign an order sending at least 800 U.S. troops to the U.S.-Mexico border as a caravan of thousands of migrants heads north from Central America. 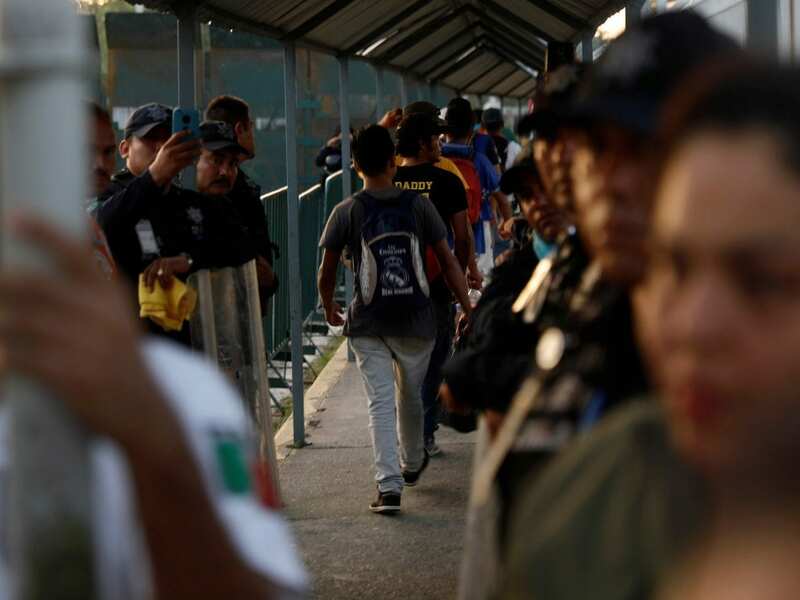 The Department of Homeland Security requested the troops, NPR’s Tom Bowman reports, after President Trump said he is intent on stopping any of the migrants from entering the U.S. The troops are part of a security operation that is expected to be up and running by Tuesday. This week, members of the caravan were making their way through a border crossing in southern Mexico, crossing from Guatemala into Ciudad Hidalgo in the state of Chiapas near the Pacific coast — roughly 1,100 miles from the U.S. border, via the most direct route to Brownsville, Texas. The service personnel expected to be sent by the Pentagon will be a mix of active-duty or Reserve troops, Bowman adds. Immigration and customs agents in the area have already been bolstered by some 2,100 National Guard troops, as the Trump administration has made it a priority to prevent people from illegally entering the U.S.
As it has headed north, the migrant caravan has grown to include thousands of people. Many of them are from Honduras, where the movement originated; others have come from neighboring countries, such as El Salvador, Guatemala and Nicaragua. Trump has frequently criticized both the caravan and the countries whose citizens joined it. “They will be stopped!” Trump said in a tweet on Thursday. Earlier this week, the president said he blamed Honduras, Guatemala and El Salvador for not stopping the migrants — and that he would punish them. “We will now begin cutting off, or substantially reducing, the massive foreign aid routinely given to them,” Trump tweeted Monday.